Trinseo (NYSE: TSE), a global materials solutions provider and manufacturer of plastics, latex binders and synthetic rubber, will exhibit at InterPlas Thailand 2018 from June 20-23, 2018 in booth 4E20, Hall 104. For decades, Trinseo has helped designers and fabricators differentiate their products and provide end-user satisfaction. The Company’s MAGNUM™ ABS Resins are manufactured with continuous mass polymerization technology as opposed to an emulsion process. Apart from making a purer polymer, the technology yields an ABS resin with a highly consistent, naturally white color base resulting in a very cost-efficient resin for self-coloring, requiring less pigment. The naturally white color of MAGNUM™ resins simplifies color matching, particularly if light final colors are desired. The MAGNUM™ ABS resins provide an excellent balance of processability, impact resistance and heat resistance. Premium car manufacturers trust Trinseo’s standard and high heat MAGNUM™ ABS resin for interior applications such as mid/center consoles, instrument panels, door trim panels, and armrests, because of low emissions (VOC) and odor, as well as low gloss and painting elimination. In addition, MAGNUM™ ABS resins deliver high heat and impact resistance suitable for exterior applications such as spoilers, mirror housings, bumper brackets, side mirrors and grills. 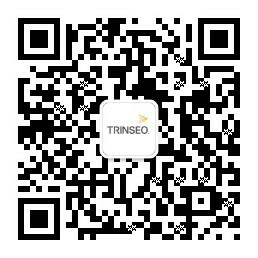 Customers who use Trinseo advanced materials for medical applications have an important advantage. They are able to provide differentiated medical equipment ranging from improved resistance to chemicals to a greater aesthetic appeal to overall longer lasting equipment. Medical devices made of MAGNUM™ ABS Resins can be sterilized by gamma radiation, ethylene oxide (EtO) gas, and electron beam radiation and will maintain their essential properties following exposure. Trinseo’s medical manufacturing facilities and related global functions are ISO 13485 certified with the latest 2016 version that places a greater emphasis on risk management and process validation. InterPlas Thailand 2018 is an international trade exhibition and conference for plastics and petrochemical manufacturing machinery and technology. Its 27th event will showcase the latest technologies from 350 leading brands from 20 countries to over 17,000 buyers from various sectors, including automotive, electronics & electrical, packaging, consumer products, and construction, from across ASEAN. To learn more about Trinseo’s thermoplastic ABS resins, please visit MAGNUM™ ABS resins for automotive, MAGNUM™ ABS Resins for medical, or MAGNUM™ ABS Resins (other applications).